Grab a Rochester International Jazz Festival Goer's Guide! The folks over at the Rochester International Jazz Festival have posted their "Festival Goer's Guide" in the Press Room on the RIJF site. It's chock full of information about this year's RIJF, where things will be, when the doors open at the clubs, and a bunch of other information that will help to plan your evenings at the festival. I'm going to assume you've read it, so don't expect to see that information here. That's pretty much my general attitude. The RIJF site has lots of information about the artists (including music clips) so I recommend that you do some exploring. On the front page of the site you can also download PDFs of the grid for Club Pass and Eastman Theater performances. It's a Week Before the Rochester International Jazz Festival . . . Do You Know Where Your Jazz Is? Here are listings for the coming week. Artists and groups, please feel free to let me know if one of your gigs isn’t on here and I’ll try to add it to the post before the gig happens. Try to get them to me in the future by Wednesday a.m. Email subscribers should check back here to see if there has been an update or revision (you won't get an update email). Alex Collins @ The Grill at Strathallan, 6:00 p.m.
Jazz Dawgs @ Little Theatre Cafe, 8:00 p.m.
Devon Trumell Group@ Starry Nites Cafe, 8:00 p.m.
Paul Hofmann Duo @ The Grill at Strathallan, 5:00 p.m.
Gap Mangione and His Big Band@ Fairport Canal Days, 6:00 p.m.
Maggie Mullen Trio@ Comix Cafe, 6:00 p.m. The Fairport High School Jazz Bands @ Minerva DeLand School in Fairport, 140 Hulburt Rd., 6:00 p.m.
Civiletto Sings SInatra @ Golden Ponds Restaurant & Party House, 7:00 p.m.
Friday Jazz at Immanuel Series with the Bobby Blandino Trio @ Immanuael Church, 815 Park Avenue, 7:00 p.m.
Bill Dobbins/Mike Kaupa Quartet @ The Grill at Strathallan, 8:30 p.m. The Margaret Explosion @ Record Archive, 7:00 p.m.
Saborajazz @ VENU Resto-Lounge, 7:00 p.m. Swing N' Jazz Gala Concert with Paquito D'Rivera, saxophone/clarinet; Carl Atkins, saxophone; Paul Smoker, trumpet; Marvin Stamm, music director and trumpet; Mark Kellogg, trombone; Fred Wesley, trombone; Bill Cunliffe, piano; Steve Brown, guitar; Jay Leonhart, bass; Mike Richmond, bass; Akira Tana, drums and; Rich Thompson, drums @ Hochstein Performance Hall, 7:30 p.m.
Steve Greene Trio @ Little Theatre Cafe, 8:00 p.m.
Joe Romano @ The Grill at Strathallan, 8:30 p.m.
Bill Tiberio Group @ McCools (Geneva), 9:30 p.m.
Fairport High School Alumni Jazz Band @ Fairport Canal Days, 11:00 a.m. The Bill Tiberio Group@ Fairport Canal Days, 12:00 p.m. The Bowties @ Fairport Canal Days, 3:30 p.m.
Just another jazzless Monday . . . . The Margaret Explosion@ Little Theatre Cafe, 8:00 p.m.
Jazz critic Doug Ramsey, author of the highly acclaimed book Take Five, the Public and Private Lives of Paul Desmond is going to be speaking about the book and saxophonist Paul Desmond’s music in the Kate Gleason Auditorium of Rochester Public Library, 115 South Avenue Rundel Auditorium on the 3rd floor of the Rundel Memorial Library Building, Rochester Public Library, 115 South Avenue, Saturday June 2nd at 2:00 pm. The discussion will be followed by a 3:00 pm book signing. Ramsey has a long career in jazz writing, contributing to Jazz Times since 1975 and writing regularly for Down Beat before that. He was a contributing editor of Texas Monthly for twenty-five years and wrote a jazz column for The Dallas Morning News. His articles, reviews and op-ed pieces on music and on free press and First Amendment issues have appeared in The Wall Street Journal,The Washington Post, The Seattle Times, The Los Angeles Times, The Oregonian, and Congressional Quarterly, among other publications. Ramsey is a blogger. I've been linking to his Rifftides, a blog "founded on Doug's conviction that musicians and listeners who embrace and understand jazz have interests that run deep, wide and beyond jazz." Apparently, he's in town to attend the The Commission Project's Swing N' Jazz events and, perhaps, the Rochester International Jazz Festival at which I expect Dave Brubeck will be playing Desmond's song (is there ever a gig where he doesn't?). I enjoy reading Rifftides when I get a chance. Doug is a terrific writer and I hope to meet him while he's in town. Friends and Love . . . The Website! Gap Mangione sent over a link to bassist Tony Levin's site with some great pictures of the Friends in Love concert that was re-created at Eastman Theater May 25-27 with the original band members Don Potter, Gap Mangione, Gerry Niewood, Tony Levin, Steve Gadd, Lew Soloff, Bat McGrath and the Rochester Philharmonic Orchestra. For the many of us who were not able to get tickets or couldn't attend, it's a behind the scenes look at the restaging of a legendary concert from 1970 here in Rochester. Levin says that he'll be adding more pictures as they are available. Just listened to Jason Crane's interview of Rochester International Jazz Festival Producer and Artistic Director John Nugent and and Co-Producer and Executive Director Marc Iacona on The Jazz Session, Crane's podcast that I've featured before. John and Marc go over some of the lineup and highlights for this year's festival, some of the new venues and times that will give festival goers even more choice. They also address some of the commentary that has been leveled at the Rochester jazz festival lineup from the jazz purists. As you'd know if you've been reading my posts about this and previous RIJFs, I feel that Nugent's programming is a great approach that will help build bridges to audiences that have never explored jazz. If Nugent and Iacona kept the festival "pure" (and that is such a subjective term), then you could fit the whole audience in Kilbourn or, perhaps, Eastman each night, and would not experience the wonderful sight and sounds of tens of thousands (this year it may be over 100,000) in the streets of downtown Rochester enjoying themselves; that's right in downtown Rochester at night AND they're spending money. As Jason John Nugent notes in the podcast, would those who care about this city rather "see 10,000 that know all the obscure facts or 100,000 who dig music and are helping our city". The fact is that over 85% of the music being played this year will be improvisational music that can be squarely placed in one of the many "jazz" columns. One additional piece of information tells that the approach of Nugent et al. is on the right track—as of the date of the podcast, May 23rd, only a few hundred of the Club Passes were available. Well, this will be the first in a number of posts that will explore this year's Rochester International Jazz Festival and, in this case, the 2006 RIJF. I just wanted to remind you all again that the a six-part television series produced by WXXI Public Broadcasting in Rochester, New York, kicks off tomorrow, May 27th, with a one-hour program airing at 7 p.m. (EST) on WXXI-TV 21 (cable 11) and WXXI-HD 21.1 (digital cable 1011). The series will include tomorrow's program and another five half-hour episodes. The hour-long broadcast features performances by Karrin Allyson, Mose Allison, Cedar Walton, the Charlie Hunter Trio and The Preservation Hall Jazz Band. I saw many of these shows last year and you're all in for a treat, especially if you can watch it in high definition. Additionally, there are interviews with some of the artists, street scenes, and concert highlights from other festival artists including James Brown, Etta James, Susan Tedeschi, Woody Allen, Dickey Betts, Red Stick Ramblers, Phil Woods and Sliding Hammers. Here are listings for the coming week. Artists and groups, please feel free to let me know if one of your gigs isn’t on here and I’ll try to add it to the post before the gig happens. Try to get them to me in the future BY Wednesday a.m. Email subscribers should check back here to see if there has been an update or revision (you won't get an update email). Check out the websites of the venues for more information. I've linked where I don't have a link for a venue (unless there is no place to link). [Added May 24: I had many of these labeled as "March" and had my dates a bit mixed up as well...oops....Thanks to Tracy, for it pointing out]. Johnny O’Neal’s enormous musical gifts became apparent to Rochester jazz lovers during his first ETJ appearance. Further astonishing is that Johnny has a repertoire of over 1500 songs and is largely self-taught. His playing evokes the influences imbued in him by his idols Oscar Peterson and Art Tatum; he has reshaped these elements into his own very swinging and melodic approach. Three notable events in Johnny’s career that continue to inspire him: an appearance at Carnegie Hall early in his career when he was the opening solo pianist for Oscar Peterson, his 1998 induction into the Jazz Hall of Fame and playing the role of Art Tatum in the award winning feature film “Ray”. Johnny remains in high demand as both group leader and side-man; the list of acclaimed musicians with whom he has performed includes legends Ray Brown, Milt Jackson, Art Blakey, Dizzy Gillespie, Sarah Vaughn, Joe Pass, Nancy Wilson, Anita O’Day, Lionel Hampton, Kenny Burrell, Sonny Stitt, Benny Golson, Eddie “Lockjaw” Davis and Clark Terry. Sylvia Cuenca returns to Rochester after her recent ETJ appearance when she accompanied Denise Thimes in March, 2007. Since that date she has had several notable engagements with Clark Terry including an extended gig at New York’s Blue Note and an appearance at the 32nd Bern International Jazz Festival. In addition, Sylvia was a member of the trio that accompanied Denise Thimes during her performance for the Queen of England and President George Bush. In addition performing extensively with legends Clark Terry and Joe Henderson, Sylvia has performed with Billy Taylor, Frank Foster, Kenny Barron, Eddie Henderson, Michael Brecker, Hilton Ruiz, Marion McPartland, Houston Person and Etta Jones, Dianne Reeves. Essiet Essiest provides the trio a firm rhythmic center and impressive melodic runs often highlighted with dramatic percussive accents. Since his last ETJ appearance, Essiest has maintained an extensive schedule, including performances with rising jazz vocalist Tessa Souter whom he will accompany on June 9th during the Rochester International Jazz Festival. Essiest was the last bassist for Art Blakey’s Jazz Messengers and has performed with Freddie Hubbard, Cedar Walton, Kenny Garrett, Dee Dee Bridgewater, Bobby Hutcherson, Pat Martino, Kenny Barron, Ralph Peterson, Danilo Perez, Nick Russo, Deborah Davis, Sam Rivers, Benny Golson and the Blue Note All Stars. Shows are at 7:00 pm and 9:00 pm. Tickets purchased in advance are $ 17.00, available through TicketWeb (search for “Johnny O’Neal” or “Exodus To Jazz”) and $ 20.00 at the door (or by calling 585-325-9162). The Exodus to Jazz series has been one of the best things going for live jazz in Rochester this past couple of years. Jose has brought in a slew of top notch jazz talent and presented them in a sophisticated setting that is focused on the music. The shows I've experienced there this year remind me of the sets I saw when I lived in Chicago. This is the last show of this year's series. I look forward to Jose's announcement of next year's lineup. I encourage you to come out and support this series so it stays around for awhile! I guess I'd be remiss in not noting that Chuck Mangione will be in town three nights this week (Friday through Sunday) recreating the historic 1970 "Friends in Love" convert with Don Potter, Steve Gadd, Tony Levin, Gap Mangione, Bat McGrath, Gerry Niewood, Lew Soloff, and the Rochester Philaharmonic Orchestra. Tickets for the May 25th and May 26th shows sold out quickly, and I wouldn't be surprised if the May 27th show is close behind. Better check out the RPO site to see if you can get tickets if you want to go. June 5 @ 7 PM – lecture on the history of Jazz by a Rochester jazz aficionado, composer and musician, and RIT faculty member, Carl Atkins. This is open to public although seating will be limited. June 7 @ 7 pm-9 PM – Artist's talk. By invitation only. Ms. Rossi is presented in collaboration with all the community partners, including The Commission Project, Casa Italiana of Nazareth College, Italian American Cultural Center & other sponsors. June 13 @ 7:30 PM –Artist lecture at the Casa Italiana, Nazareth College. June 16 @ 10 PM-12 AM – Jazz mixer & champagne party for jazz lovers after closing of jazz festival on June 16th. An RSVP is required for this event. June 22 @ 7 PM – Reception at the Italian American Community Center by invitation only. June 30 – Show closes and there will be a member’s mixer. Invitation only event. Gallery hours are 1-5 PM Wed-Sun or by appointment. Community partners of the Baobab in this presentation of Rossi's work are The Commission Project, Casa Italiana, Nazareth College, The Italian American Community Center (IACC), Provincia dell'Aquila. For details and to RSVP, contact Moka Lantum at 585.820.6403 or via email at baobab.center AT yahoo.com. Tomorrow, Water Street Music Hall is hosting a benefit show from 3:00 to 9:00 pm to benefit Mike and Jenny of the Starr family, who ran The Clarissa Room (a favorite of mine) after its founder John Starr's death until its closing early last year. Jazz performances on the half hour will include Mike Melito, Freddie Colon & the Latin Jazz Quartet, Vince Ercolamento, and jazz singer Janet Beaman. Performances also by Coupe de Villes, Rhythm Dogs, John Cole Blues Band, King Bees, and Dan Schmitt and the Shadows. The lineup information is from the D&C; Water Street's site has a different set of performances. It's an all ages show. $10 at the door. It should be a great show! I know I'm getting this posted kind of late, but plead jazz fatigue after attending Art Loves Jazz, the benefit for WGMC Jazz 90.1 radio, on Thursday, and seeing John Sneider (brother of Bob) at the Strathallan last night. Jazz around town for the next 7. . . .
Local illustrator and new blogger David Cowles is showing off the fine poster he's created for the 2007 Rochester International Jazz Festival over at Cowlesworld blog. SUNDAY, JUNE 3—Golf Tournament & Dinner, Jam Session, Greystone Golf Club (Jam Session will include many of those from the Saturday Night gala). Rather than go into any more detail, I suggest you check their site out and the PDF of the flyer for the 2007 Swing N' Jazz event. One of my blog links (Rifftides) has some great things to say about this event from last year. It's been a long time coming, but I thought why limit it to what's on my turntable? 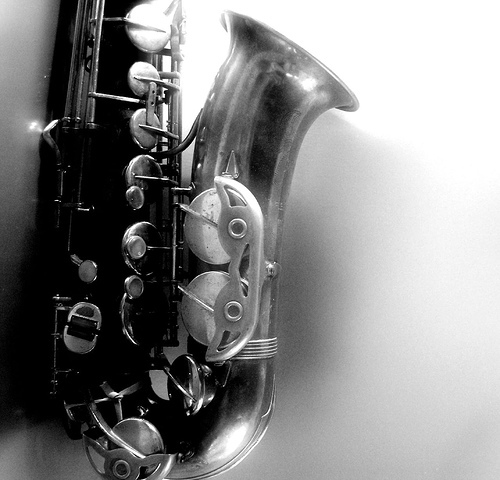 One of the main focuses of this blog is to help promote local live jazz here in Rochester. To that end, I'm inaugurating a new feature in the left panel "Rochester Sounds . . . " that will feature new CDs by local artists. I'll try to rotate as much as possible. Unlike the other, which is connected to the Amazon affiliate program, for these I'm going to try to link to an online source for buying the CD that will provide the artist the most return. However, in the interest of full disclosure, on some of them if you click through and buy, I may be a member of an affiliate program and get a bit of coin (not serious money, actual coins) for the referral. Tom Kohn of the Bop Shop is presenting the Penfield High School Monday-Wednesday Jazz Ensemble. They will perform a free concert on Friday, May 11, 7:30 pm, at the Bop Shop Atrium in the Village Gate. The band will play a variety of jazz music, ranging from jazz classics to soul, joined by Eastman School of Music Jazz Guitar Professor Bob Sneider and one of his protégés, PHS 10th grader guitarist Gabe Condon. Rod Blumenau will also join the group on saxophone and piano. The Penfield group is recognized both locally and nationally for its unique jazz performances and programs. The Monday-Wednesday Jazz Ensemble will also perform at the Rochester International Jazz Festival on Monday, June 11th, at 4:30 PM and at the Penfield Town Amphitheater on Friday, June 1st at 7:00 PM. Live jazz music . . . Served up hot! Here are listings for the coming seven days. Some new interesting entering the fray. Artists and groups, please feel free to let me know if one of your gigs isn’t on here and I’ll try to add it to the post. Jazz violinist Billy Bang will join Jack Mindy as guest DJ on Thursday (May 3rd) drive time from 5-6 pm EST on the radio at WGMC Jazz 90.1 or on streaming on their website. Bang is in town with his Quartet to back Garth Fagan Dance this weekend for their first spring performance in years at the Greece Athena Performing Arts Center. According to WGMC's announcement, Billy Bang will bring along some of his favorite jazz selections to share with listeners. As I'm already involved with promoting dance in the area, Dianna and I already plan to go (hope the tickets are still available as we're going to buy them tomorrow) and will be tuning in.